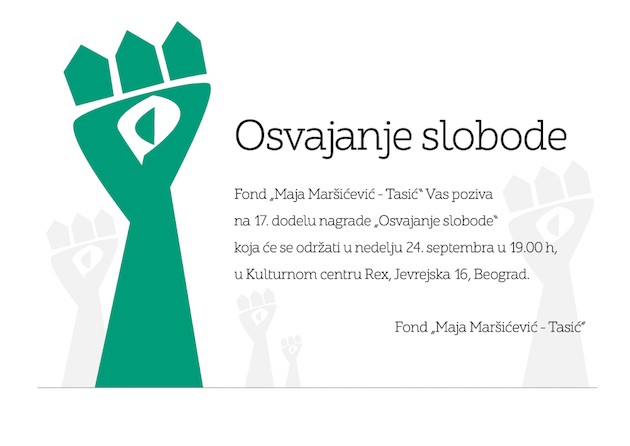 The Osvajanje slobode Award was held for 17th time, Like every year, on 24th of September, the “Maja Maršićević Tasić” Foundation has organized the Award Ceremony giving the statuette of Mr. Mrđan Bajić to the winner. Seventeen winner of the Osvajanje slobode Award is Tamara Skrozza. For the second time the Award Ceremony took place at Reks.